The hidden dog in the backdrop of the painting's rocky setting is said to be Leonardo’s denouncement of the corrupt papacy of his time. 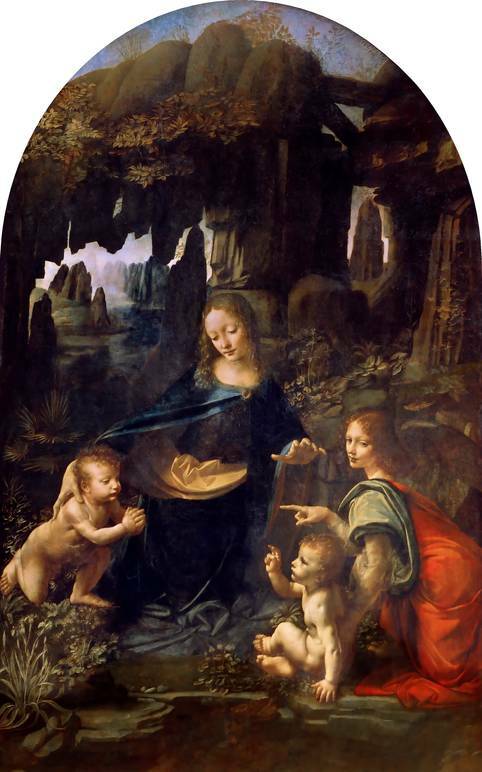 The prime exemplar of a Renaissance man, Leonardo da Vinci’s talents spanned a wide range of fields, but he is renowned primarily as a painter. In fact, a handful of his works are regarded as among the great masterpieces, rivaled only by that of his contemporary, Michelangelo. His most famed artworks include the Mona Lisa, The Last Supper, and the Virgin of the Rocks. As with the rest of his portfolio, these paintings are all suffused with symbols and social commentary. Over the years, restoration and emerging technologies have unveiled new details and allowed for new waves of interpretation. Sometimes these processes solve century-long mysteries, such as that the Mona Lisa does have eyebrows. 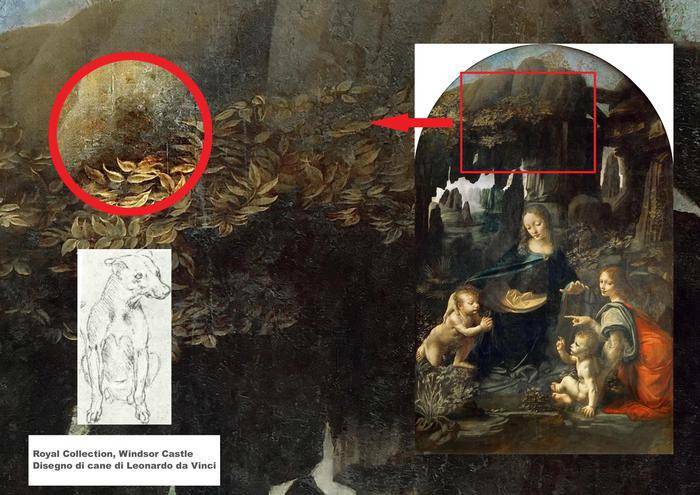 The most recent discovery was a dog behind vegetation in the backdrop of the famed Virgin of the Rocks in the Louvre, which depicts Mary, Baby Jesus, infant John the Baptist, and an angel in the forefront. 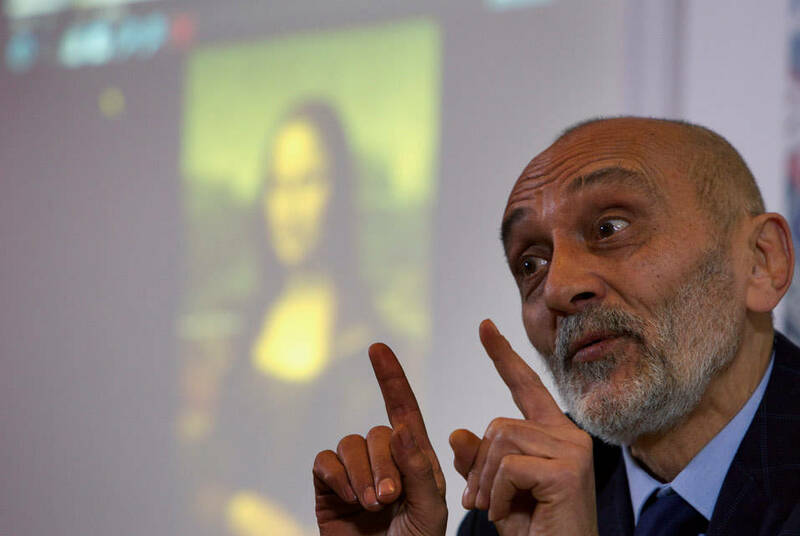 Vinceti, who was at the center of the finding of Caravaggio's bones at Porto Ercole and the remains of the model for Mona Lisa in Florence, credited the discovery to Roberto Biggi, a researcher for the committee. 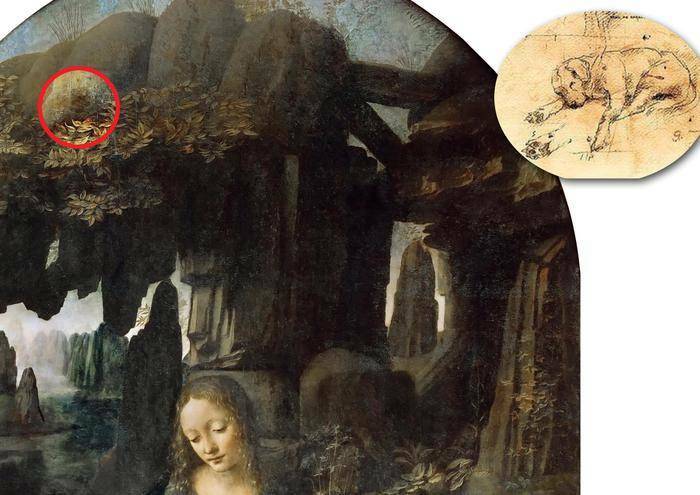 According to Vinceti, the so-far-undiscovered dog peeping out from the plants in the rocky setting of the background subtly condemns the corrupt papacy of Leonardo’s time with the dog’s leash symbolizing faith in Jesus’s original message. This revelation enables a new reading of the painting. Of course, Leonardo was not able to express his criticism at the time in fear of Pope Innocent VIII, the Borgia popes, and the Inquisition (a Catholic Church institution for combatting heresy). Therefore, he used iconographic language. Vincetti concluded, "Leonardo uses the painting to express his thought and request for a rigorous Christianity that may revive the example of God for the Commandments and Jesus as expressed in the Gospels."